Fact: Difficult relationships are a hallmark of people with Borderline Disorder, but having the support and involvement of close family is very important to successfully staying the course for so many with the Disorder. Your involvement with your loved one’s care is critical to helping them stay in functional relationships with the people they care about. Myth: Almost Everyone Who Has Borderline Disorder is a Woman. Fact: For the last decade, data has conclusively shown that the prevalence of Borderline Disorder between men and women is almost the same. Though 20th-century studies often noted the occurrence of the Disorder to be much higher in women, a large-scale study in 2008 determined that the rate of prevalence was 5.6-percent for men and 6.2-percent for women - almost equal. 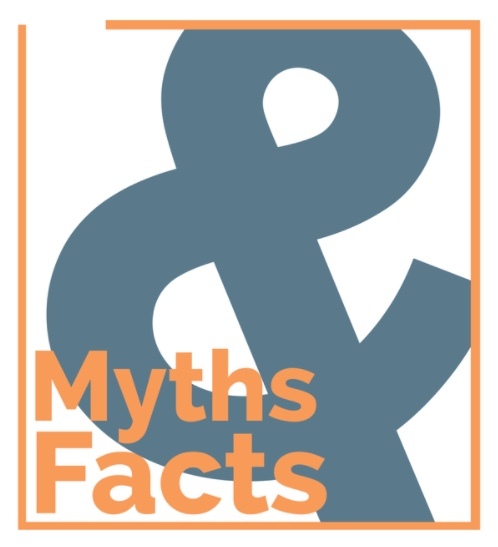 This myth has the potential to limit both the care men pursue and receive and divides issues around the disorder along gender lines, distracting from the fact the lifetime prevalence in the United States alone is 18 million people, affecting individuals and families across a wide swathe of the population. Myth: Borderline Disorder Cannot be Accurately Diagnosed Before a Person is 18. Fact: Diagnosing Borderline Disorder in children is incredibly complex. Symptoms may appear at puberty or younger, but mental health professionals will want to document that a young person’s “pattern of behavior had an early onset and a longstanding course” in order to arrive at an accurate diagnosis. This makes establishing a relationship with a mental health provider as early as possible all the more critical to ensuring your child receives the care they need. Misdiagnoses for co-occurring disorders can result in treatment paths that are counterproductive for a child’s growth and development. Myth: Medications have Limited Use in the Treatment of Borderline Disorder. Fact: Based on the outdated belief by some psychotherapists that Borderline Disorder is mainly caused by environmental risk factors and therefore should be treated through psychotherapy, this myth discourages many from getting help from medications as part of their treatment plan. Medications often provide prompt and sustained improvements for individuals and have been shown to decrease the number of symptoms experienced by those with the Disorder. With fewer active symptoms, those with Borderline Disorder are able to more fully engage in therapy and achieve greater gains and results, dispelling the myth that medications interfere with the process of psychotherapy as a “quick cure” rather than an achievement of sustained work. Myth: Dialectical Behavior Therapy (DBT) is the Psychotherapy of Choice for Borderline Disorder. Fact: This myth appears to have arisen due to the amount of attention given by the media to DBT, and as a result of misunderstanding about the improvements in psychotherapeutic treatments offered to those individuals affected with Borderline Disorder. Dialectical Behavior Therapy is the most studied form of therapy for those with the Disorder and has been shown to be more beneficial for some with Borderline Disorder than other forms of care. Those individuals with the Disorder who appear to benefit most from DBT often demonstrate suicidal and other self-injurious behaviors and require brief hospitalizations for these behaviors. Many families are so eager to find treatment for Borderline Disorder that they assume DBT is more effective than other forms of therapy due to its prominent profile. Many families search for a DBT therapist when that treatment is not indicated, and do not seek help from other qualified therapists skilled in other forms of psychotherapy and able to treat the symptoms of the Disorder. It is important to remember that there is no single answer to this complex Disorder. Borderline Disorder impacts different people in different ways. Creating a treatment plan with your clinician will help you to create the best treatment path.